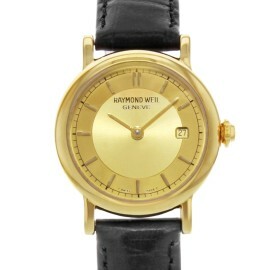 The Swiss brand Raymond Weil credits music as its most influential inspiration and has named its most popular collections (like the Tango and Maestro) after styles or genres of music. 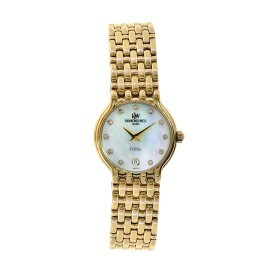 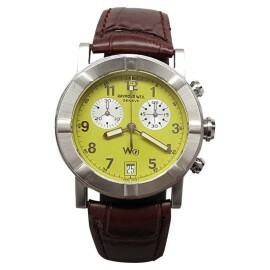 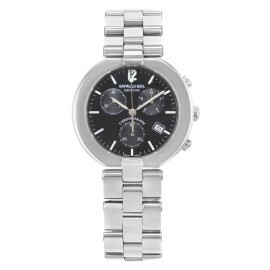 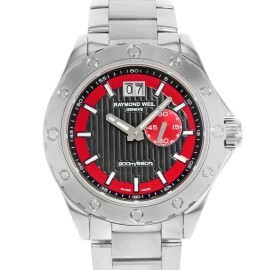 Its collection of men's and women's watches are artfully designed at an affordable price point. 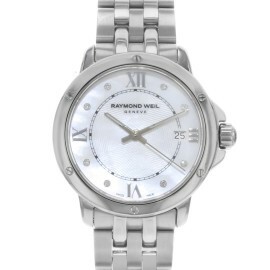 TrueFacet is proud to partner with Raymond Weil to deliver to you brand-certified pre-owned men’s and women’s watches, direct from Raymond Weil, complete with the manufacturer’s warranty. 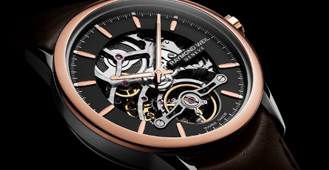 Raymond Weil's Freelancer Collection was a milestone debut for the brand, marking the brand's first visible balance wheel through the transparent sapphire crystal caseback, offering a mesmerizing look at the elegant engineering and craftsmanship formerly hidden inside. 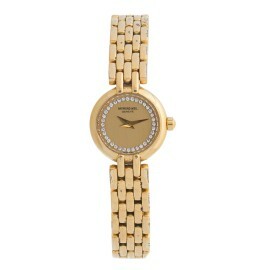 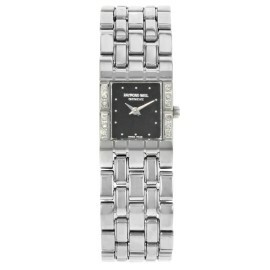 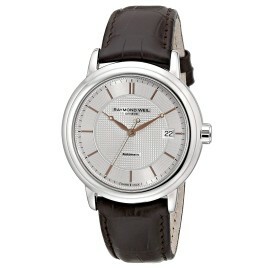 To celebrate the brand's 35th anniversary in 2011, Raymond Weil introduced the women’s Jasmine Collection. 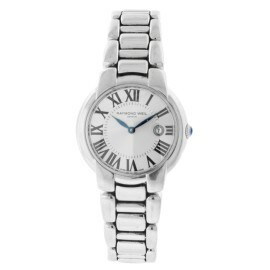 The Jasmine Collection has an understated elegance with its timeless shape and Roman numeral hour markers, with a healthy dose of glamour in its diamond bezel. 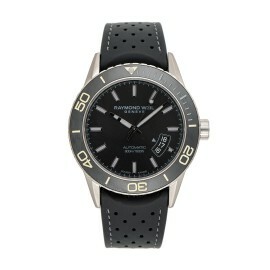 The Maestro is a signature collection, emblematic of the brand's design tenets and technical skill. 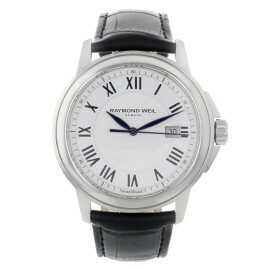 Raymond Weil innovates upon the Maestro with the Maestro Phase de Lune, the brand's first moon phase complication on an automatic mechanism and includes a date and moon phase complications and a 42-hour power reserve. 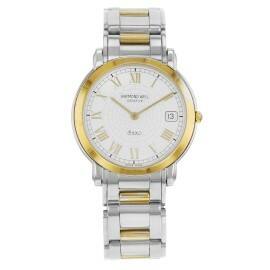 The Noemia ranks as one of Raymond Weil's most beloved women's watch collections. 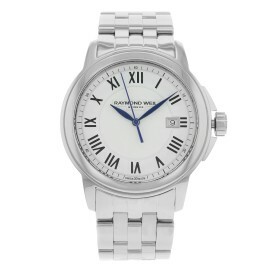 Its graceful lines, diamond hour markers, and mother-of-pearl dial make for an overall exquisite design, perfect for the modern woman. 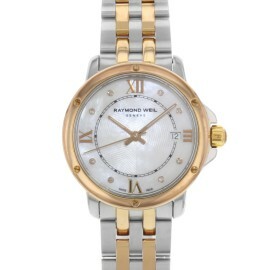 The Raymond Weil's Shine collection features a patented interchangeable bracelet to quickly swap out your stainless steel bracelet with a casual, colorful leather strap and effortlessly refresh your watch's look. 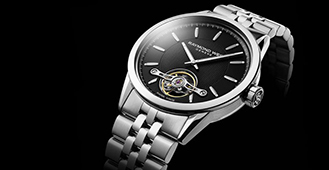 The Tango Collection is a beautiful homage to Mr. Raymond Weil's love of music, a longtime source of inspiration for the brand. 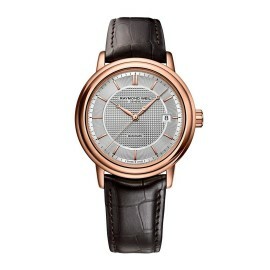 This standout modern collection is a smart balance of function and aesthetics. 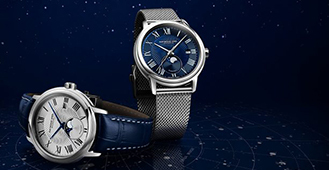 What is a Moon Phase Watch Complication?